During the Imagine Kalamazoo 2025 (IK2025) planning process, neighborhood plans were identified as a need. 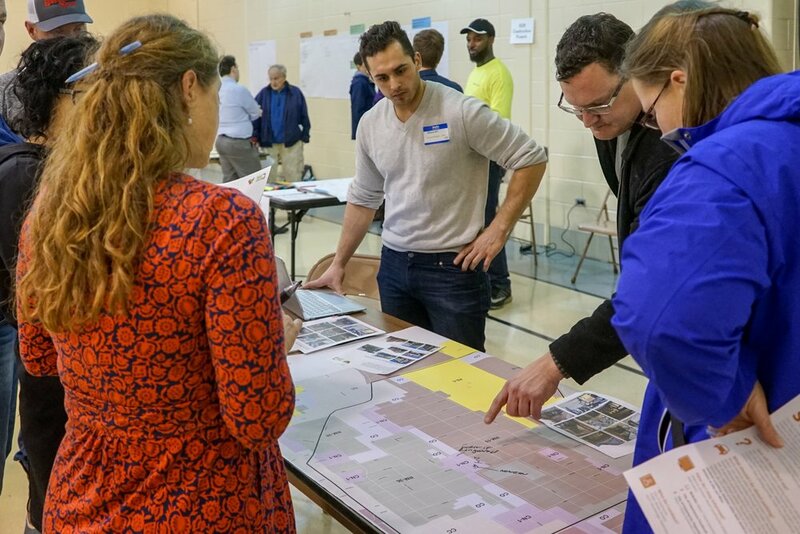 Neighborhood plans allow the neighborhood to focus on their neighborhood vision and realize the community’s Strategic Vision with small-scale or focused planning work. This resident driven process allows neighborhoods to take control of their future. The neighborhood planning process as laid out in the 2025 Master Plan does not have a required focus beyond aligning with the Strategic Vision and 2025 Master Plan goals. Through this process residents are encouraged to think about everything that impacts their daily wellbeing and futures. The resulting plans are comprehensive and leverage collaboration to achieve results. The Master Plan puts forth the goal to complete three neighborhood plans in 2018. The ultimate goal is to have plans in place for all 22 neighborhoods in the City of Kalamazoo. Align with the Strategic Vision and Master Plan at the neighborhood scale. Develop individual strategies needed to achieve neighborhood completeness. Establish a unique neighborhood vision, goals, and actions for implementation. Establish relationships within the neighborhood to support implementation. Use IK 2025 input from residents as a place to start. Neighborhood Plans align with different Strategic Vision Goals depending on the neighborhood's priorities and goals.